I spent my first night of astronomy observation this weekend, as a part of the Nuit des Etoiles, which takes place every year in July in France. 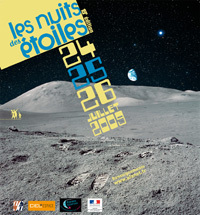 Organized by the French Astronomy Association, many evenings are organized. One of the them was taking place not far from home, I had the pleasure to meet there fellow amateur astronomers and try out a wide array of telescopes, refractors and binoculars. This is a crucial step if I want to buy my own one day. I have to admit that watching Jupiter, stars, galaxies and other stellar objects from these objects is a bit depressing compared to watching their photos. 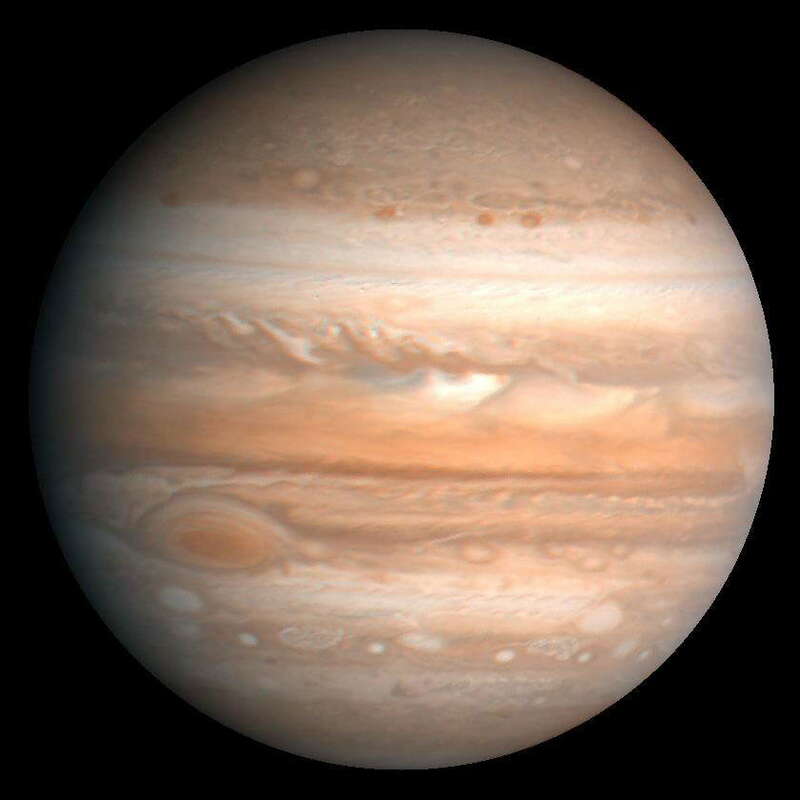 Indeed, Jupiter looks like a small white ball with grayish stripes even with a 280 mm telescope or a good refractor. Even if the planet’s satellites are perfectly visible, the view pales in comparison to what you can seen on the right. Another example of this is galaxies. 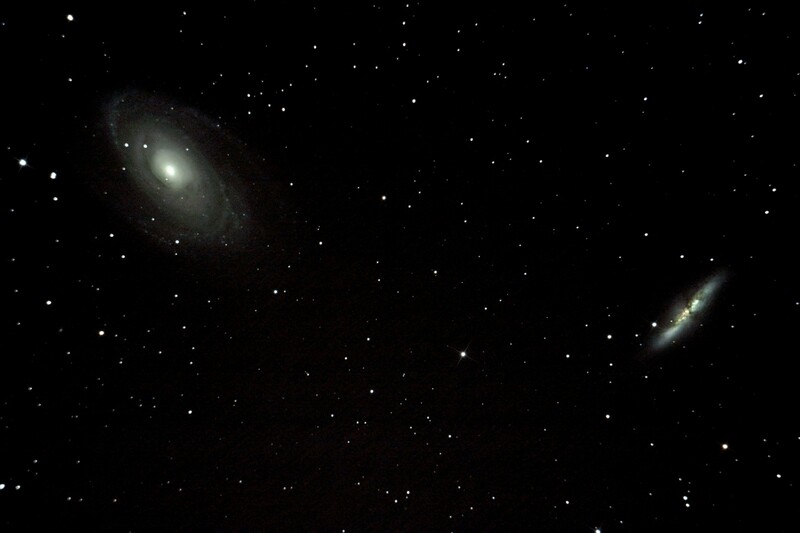 For someone like me, accustomed to the APOD photos, watching M81 and M 82 – two galaxies close to each other – on a telescope is a bit disappointing vis à vis the beautiful picture below. First and foremost, the human eye to what I understand doesn’t see well colors at night. So, this is why Jupiter looks grayish. Second issue: telescopes and refractors are monocular, so you can’t grasp exactly all the magnificence of stellar objects with one single eye. Thirdly, pictures are taken by cameras, tools that capture much better the light than the human eye. DSLRs can shoot for a long period of time one single object, such taking their time to capture all the details. Last but not least, pictures are taken most of the time from very costly and very large telescopes. Some are even taken from Hubble, a huge telescope located directly in space. Hubble’s diameter is 2.4 meters, ie. 2400 mm, or eight time bigger than the biggest telescope I watched through this weekend. Does this mean the end of my interest in astronomy ? I am still largely interested by astronomy and star gazing. One just needs to get over the idea that it is impossible to get the same feeling as by watching pictures in magazines. There is the thrill of watching with one’s own eye the Pleiades or Jupiter. I had the opportunity to test a 250 mm Dobson, a 280mm telescope (wondering if it was a Maksutov-Cassegrain or a Schmidt-Cassegrain ), very nice 20*80 binoculars and so on. There is also the great feeling and atmosphere of meeting people sharing the same passion for stellar objects and their observation. Many thanks Rupika for your kind comment.